Four in ten family doctors plan on leaving the profession or retiring within the next five years. Some 42 per cent of GPs polled said they intended to leave or retire within five years, up from less than a third (32 per cent) in 2014. The findings suggest the current GP crisis is set to worsen, making it even harder for patients to get appointments. Researchers from University of Warwick questioned 929 GPs from the Wessex region about their experience of working in primary care. Of the respondents, nearly 700 were aged between 35 and 64. Nearly six in ten (59 per cent) said morale had worsened over the past two years, with workload a major issue. Half of GPs said they were working longer hours than two years ago, while more than a quarter (27 per cent) said they had deliberately cut their hours. Of those, 72 per cent said this was due to the intensity of their workload and 30 per cent put it down to stress and the effect on their mental health. Health leaders have warned the GP crisis means one in six posts are currently unfilled, making it increasingly difficult for patients to see their family doctor. Official figures show one in ten patients now face waits of at least three weeks to see someone at their local practice. Despite the government vowing to create 5000 additional GP posts by 2020, recent figures suggest that a further shortfall of 1300 full-time GPs has developed. Many are choosing go abroad for better lifestyles, while high numbers are a retiring early to avoid hefty taxes which kick in when their pension pot exceeds £1million. JUST HOW BAD IS THE GP CRISIS? A single GP is having to cover night-time home visits for a population of half a million, The Daily Mail revealed last week. In a stark illustration of the crisis in out-of-hours care, the doctor was found to be solely responsible for an area of 1,346 square miles. Ten years ago, eight GPs shared the workload in Shropshire. The situation was blamed on lack of cash and a shortage of GPs prepared to carry out unsocial hours. Cover is so poor that patients trying to see a doctor at evenings or weekends have been told to drive an hour over the border to get help in Wales. A mother of a sick child was offered consultations an 80-mile round trip from her Ludlow home. Dying cancer patients have been left in agony because there was no GP available to administer morphine. 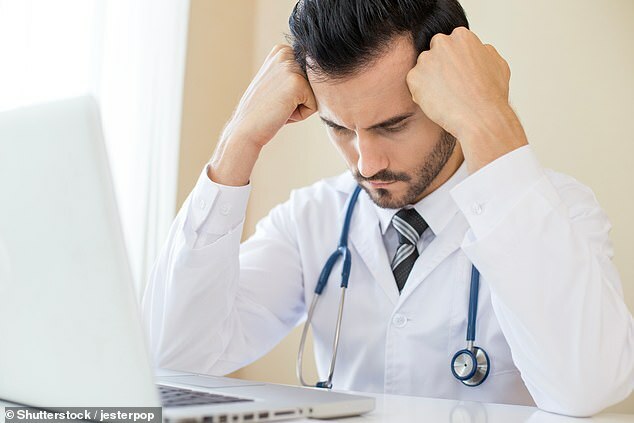 And sources said on some nights there is no GP cover at all – a claim vehemently disputed by Shropdoc, the firm charged with providing the service. Officials admitted last year that four in ten GPs were quitting the NHS within five years of finishing their training. Meanwhile, recruitment drives for foreign doctors are struggling to keep pace with the rising demand. In the latest survey, GPs suggested increased funding, more doctors, better education of the public and expanding non-clinical and support staff would all improve GP retention. The researchers said that while some of these initiatives had been brought in, the effects were yet to be seen. The poll further found that 41 per cent of GPs felt the increasing demands, expectations and complexity of patients was one of the greatest problems facing general practice. This included people with more complex health problems, who were often older. Lead author Professor Jeremy Dale, from Warwick Medical School, said findings all point to falling levels of job satisfaction among GPs. He said: ‘Many GPs clearly feel that this is too little, too late and have failed to experience any benefit from these initiatives and are unable to sustain working in NHS general practice. ‘Intensity of workload and volume of workload were the two issues that were most closely linked to intentions to leave general practice, followed by too much time being spent on unimportant bureaucratic and administrative tasks. 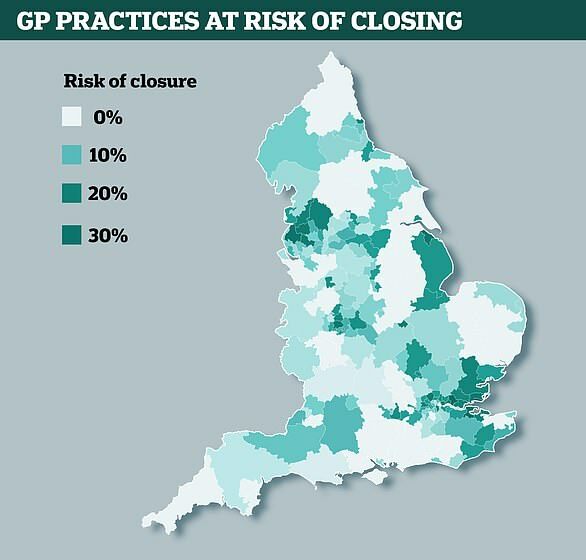 Earlier this week, the Mail revealed how just one GP is having to cover night-time home visits covering a population of half a million in Shropshire. Proposals in the NHS long-term plan including more funding and increasing the workforce are desperately needed, the authors say. Professor Helen Stokes-Lampard, chairwoman of the Royal College of GPs, said: ‘GPs are under intense strain – our workload has escalated in recent years, both in terms of volume and complexity, but we have fewer GPs than we did two years ago. ‘There is some great work ongoing to increase recruitment into general practice, and we now have more GPs in training than ever before, but when more family doctors are leaving the profession than entering it, we are fighting a losing battle. Jonathan Ashworth MP, Labour’s Shadow Health and Social Care Secretary, said it highlighted the ongoing crisis within primary care. He said: ‘Properly resourced General Practice is absolutely key to keeping people well and relieving wider pressures on the NHS, yet having spent time on the front line with GPs, it’s obvious morale is low – our GPs are overworked and under resourced with many experiencing burn out.